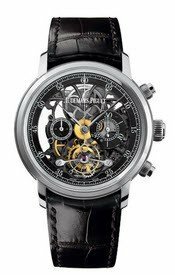 This watch is also known as: 26050PT-OO.D002CR.01 , 26050PT.OO/D002CR.01 , 26050PT/OO.D002CR.01 . 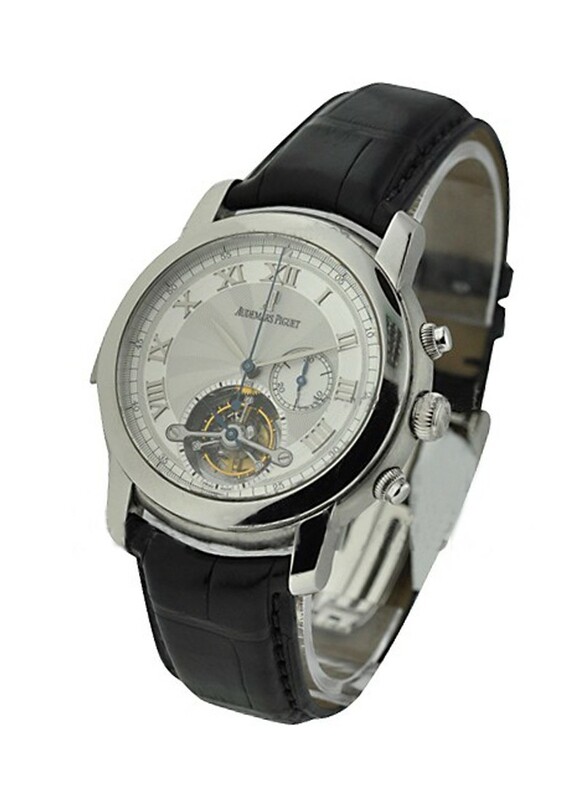 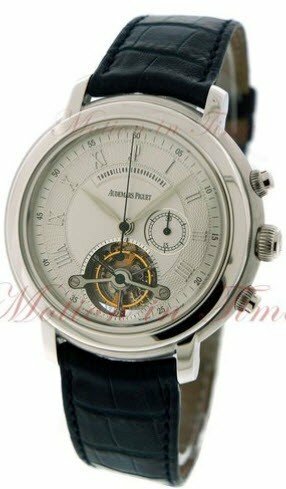 This Audemars Piguet Jules Audemars Manual Winding Minute Repeater Tourbillon with Chronograph platinum watch features an elegant silver guilloche dial with roman markers, the chronograph counter at 3 o'clock, and small seconds incorporated within the tourbillon window at 6 o'clock, in a 43mm case on a hand-stitched black alligator strap with a platinum deployant buckle. 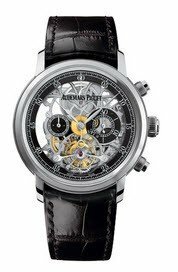 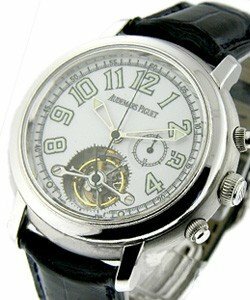 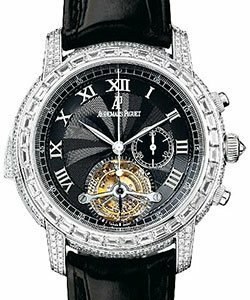 The Audemars Piguet Jules Audemars Manual Winding Minute Repeater Tourbillon with Chronograph watch also features a manual wind movement with a one minute tourbillon, chronograph, and a minute repeater complication.